Everyone has their own battles, their own pain, and their own issues, despite how they appear on the outside. 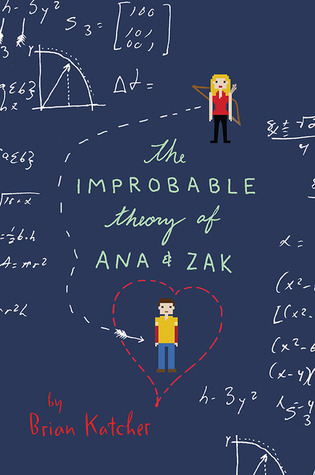 To Ana, Zak initially seems like a slacker, a guy with no pressures, no destination, just enjoying a lazy journey with a weird love of comic book characters. Ana is driven. Her parents force her to abide by their rules and have high expectations for her academic success. When Zak is forced into joining Ana and others on a Quiz Bowl team, their opinions of one another change over a very eventful night. Ana’s younger brother, who is also on the team, escapes from the competition hotel on the first night and goes to the comic convention that Zak told him about. In a panic, Ana asks Zak to help her find her brother. Their night at the convention reveals characteristics and strengths that neither of them knew they had. It’s an incredible experience that enables them to learn about each other and themselves. The story is told in a back-and-forth style between Zak and Ana, and is told with humor, action, introspection, and revelations. It’s the kind of story that keeps the reader yearning for more and rooting for the characters. Highly recommend. This entry was posted in highly recommend, realistic fiction. Bookmark the permalink.